BALLESTEROS, P.; CLARAMUNT, R. M.; SANZ, D. y TESO, E.: Química Orgánica Avanzada. 1ª ed. UNED, 2002, 09424UD11. BALLESTEROS, P.; LÓPEZ, P. y ZADERENKO, P.: Ejercicios resueltos de Síntesis Orgánica. 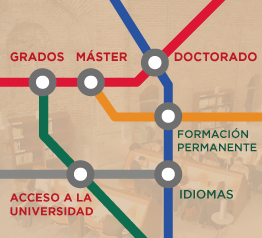 Cuadernos de la UNED, 1.a ed. 2005, 35262CU01A01. CARRUTHERS, W.: Some Modern Methods of Organic Synthesis. 4ª ed. Cambridge University Press, 2004. HESSE, M.; MEIER, H. y ZEEH, B.: Métodos espectroscópicos en Química Orgánica, 2ª ed. Editorial Síntesis, 2005. HOUSE, H. O.: Modern Synthetic Reactions. 2ª ed. Benjamin. 1972. MARCH, J.: Advanced Organic Chemistry: Reactions, Mechanisms and Structure. 5ª ed. John Wiley, 2001. NORMAN, R. O. C.: Principles of Organic Synthesis. 2ª ed. Chapman and Hall, 1993. SMITH, M. B. y MARCH, J.: March’s Advanced Organic Chemistry: Reactions, Mechanisms and Structure. 6ª ed. John Wiley, 2007. SMITH, M. B.: Organic Synthesis. 2ª ed. McGraw-Hill, 2001. WARREN, S.; WYATT, P.: Organic Synthesis. The Disconnection approach. 2ª ed. Ed. John Wiley, 2008. WARREN, S.; WYATT, P.: Workbook for Organic Synthesis. The Disconnection approach. 2ª ed. Ed. John Wiley, 2009. WYATT, P.; WARREN, S.: Organic Synthesis. Strategy and Control. John Wiley, 2007. WYATT, P.; WARREN, S.: Workbook for Organic Synthesis. Strategy and Control. John Wiley, 2008. STUART, B. H.: Infrared Spectroscopy: Fundamentals and Applications. Wiley. New York, 2004. ISBN: 978-0-470-85428-0. FRIEBOLIN, H.: Basic One- and Two-Dimensional NMR Spectroscopy, 5ª ed. Wiley, New York, 2011. ISBN: 978-3-527-32782-9. McLAFFERTY, F. W.: Interpretation of Mass Spectra. University Science Books, Hill Valley. California, 1993. ISBN 978-0-935702-25-5. SILVERSTEIN, R. M.; WEBSTER, F. X. y KIEMLE, D.: Spectrometric Identification of Organic Compounds, 7ª ed. Wiley, New York, 2005. ISBN: 978-0-471-39362-7.